Creating a Facebook Group is the best way to get socially connected with your certain friends. Facebook Groups allow you to do a personal conversation between the members added to the Group by the Admin. Facebook Groups are not like Facebook Page, Facebook pages can be liked by anyone and participation is for all who have a facebook account, But in case of Facebook Groups, Only people who have been added to the Group by the Admin are able to use the particular group and start a conversation between others. Facebook Groups acts exactly like WhatsApp Group. Once you have created your Group, Next step is to add your friends to it, Suppose you want to add all your friends to the group and you have 1000+ Friends, What will you do? Are you going to use the traditional method and invite all your friends one by one! Never Nuh. That’s why you are here to read this article and Invite all your Facebook friends to a Group in a single click. Recently I have also shared How To Invite All Your Facebook Friends To Like Your Page or For An Event. In this method, we will be using a Chrome Extension that will help us to add as many as 5000 people to our newly created Facebook Group. This extension is available in the Google Play Store and can be downloaded with the link given below. The working of Extension so simple. After the installation is done all you want to do is just click on the Extension and it will automatically start inviting everyone you mentioned. You can create a custom group or invite each of your friends. Basically, in this method, we will be using a Google Chrome Extension which is available on the Chrome Web Store. 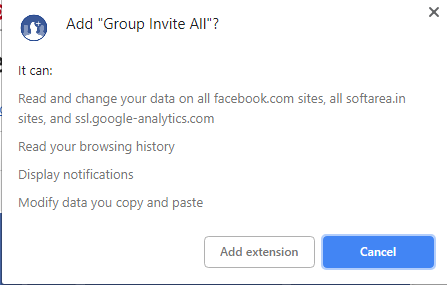 The extension is called “Group Invite All”. You can also check how to Unblock Facebook Account that is temporarily or permanently blocked for any reason. You can install the extension in your browser by clicking the link given below. Once you are done installing and activating the extension, follow the below-given steps. Step 1: Visit the link above and install the extension. Step 5: Open your particular group to which you want to add friends. Step 8: Now click on the”Group Invite All” icon next to the address bar. This is how we invite all friends to join our Facebook Group by using a Chrome Extension. To contact Facebook Team directly, use this link. In this method, we will be using a custom developed script to add all friends to a particular group. You can execute the below-given script in your Web Browser and get the job done. Now, follow the step by step instructions mentioned right below in the article. This is how we add all friends to a particular group with the help of the script. Also be sure to check out our Facebook Video Downloading guide. 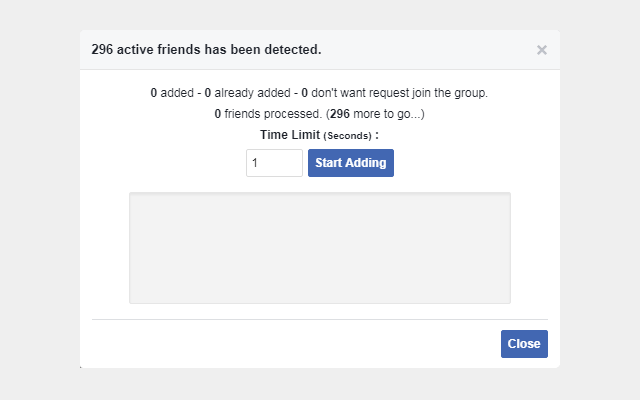 Finally, these are the two methods that you could use to Invite or Add every Facebook friends into a particular group. 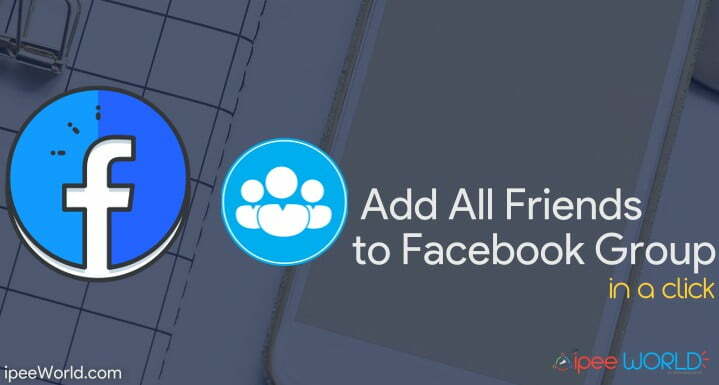 This feature and tools come really handy when you have thousands of friends on Facebook and want to connect with them easily. Creating A Facebook Page and a Group is entirely different for closed conversation and post sharing, Facebook Groups are what you should be looking. Hope his helped you and I will catch you in the next one.